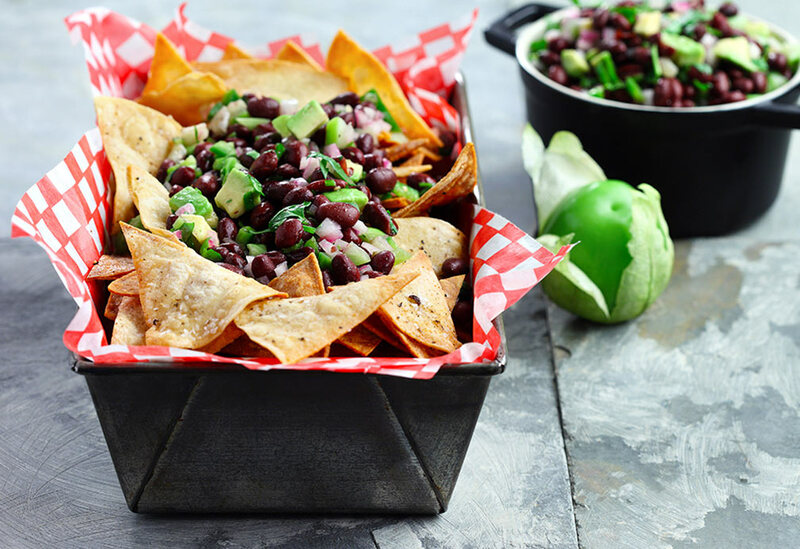 Canola oil’s neutral taste is a perfect backdrop for these bright and lively flavors! 1. In skillet, heat canola oil over medium heat. Add garlic and tomatillos and sauté until tomatillos soften. 2. 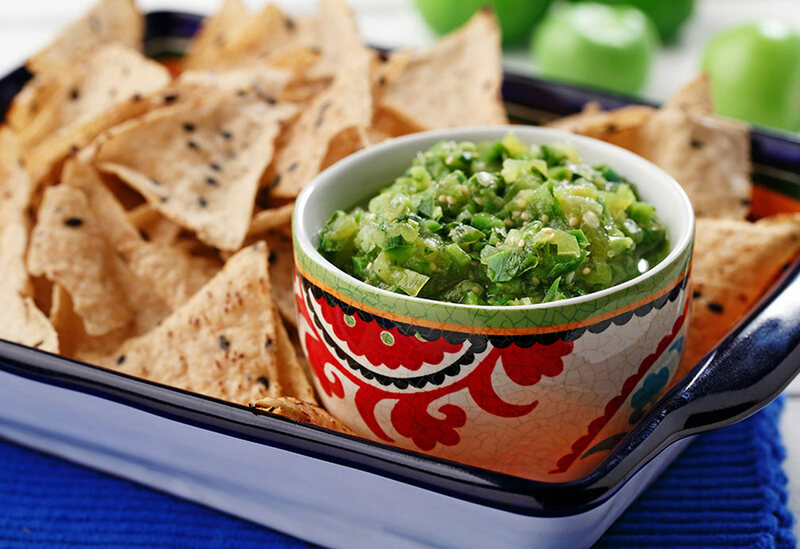 In food processor, process cooked tomatillos and garlic with jalapeños, cilantro and salt until chopped consistency is achieved. Cover and place in refrigerator to cool before serving. Tip: Control salsa heat by adjusting the number of jalapeño peppers. For more heat, include the veins of the jalapeño and for even more kick, its seeds. A heart-healthy snack for your next celebration! 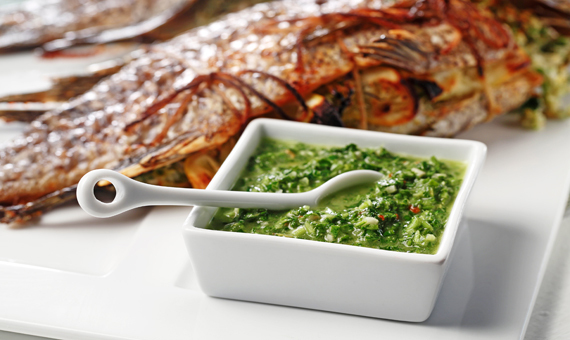 This Argentinian salsa is a terrific partner for grilled fish and meat. Canola oil’s neutral taste lets the flavors of bold ingredients take charge. 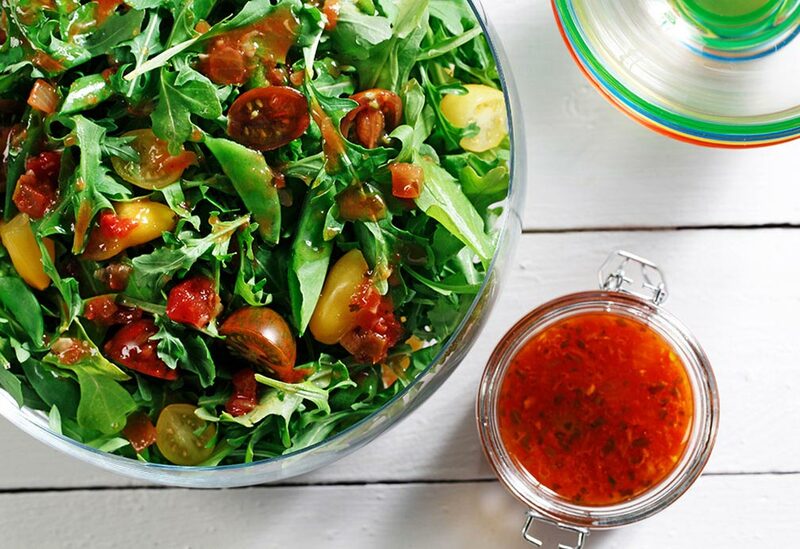 A simple vinaigrette that has a bit of a kick for added flavor.